Duodenal switch or biliopancreatic diversion+ duodenal switch (BPD-DS) is a highly complex and most expensive of all bariatric procedures. This is a form of restrictive and malabsorptive procedure. It produces the best result regarding weight loss and resolution of other comorbid conditions. The high cost of this surgical procedure may not be unconnected with its effectiveness in terms of weight loss and reversal of comorbid conditions such as diabetes mellitus, sleep apnoea, osteoarthritis, hypertension, etc. other factors that may be responsible for the high cost of this surgery include: the complexity of the operation, its time-consuming nature, and the need for a highly skilled surgeon. The cost of the duodenal switch (BPD-DS) and that of other bariatric surgeries varies by location (country to country and even within a country), by the hospital, and a cadre of the surgeon and the presence of comorbid conditions in each. Factors such as the cost of living in the hospital area, local competition, as well as whether the hospital is profit making one or not, all influence the final cost of bariatric surgery. BPD-DS is a highly complex surgical procedure with a high rate of complication and the need for a qualified surgeon regarding skills and experience cannot be overemphasized. Thus, it is important to make the cost the list of your concern. On an average, the cost of BPD-DS in the US is about $25,000. The range is $23,000 to $34,000. Going outside the US will significantly reduce the cost. Only few insurance policies cover BPD-DS. Thus, most patients pay out of pocket. When the overall benefit of this surgical procedure is considered, the cost becomes insignificant. BPD-DS has been found to cause resolution of comorbid conditions such as diabetes mellitus, hypertension, osteoarthritis, sleep apnoea, dyslipidemia, etc. It has also been established that this surgical procedure reduces the risk of cardiovascular diseases such as myocardial infarction and stroke. The expenses that a patient could have incurred on these comorbid conditions are in multiples of the cost of the surgery. 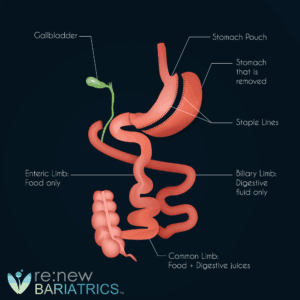 As for all bariatric surgeries, additional costs may be incurred after the surgery from a visit to nutritionist/dietician, purchase of nutritional supplements, and new clothes, and other expenses if a complication should develop.